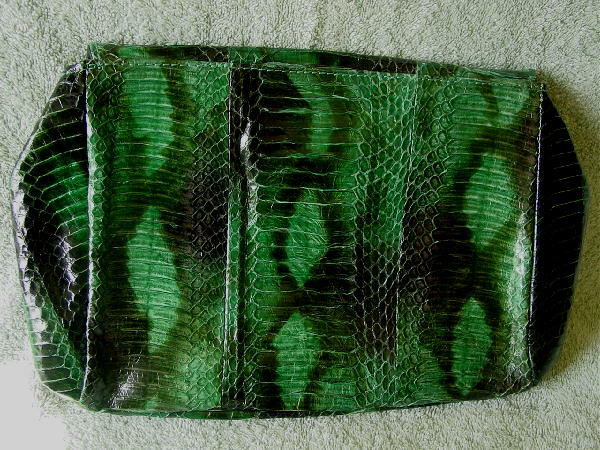 This dark grass green and black snakeskin large clutch is by J. Renee. It has an envelope styling with a hidden magnetic snap closure under the flap. 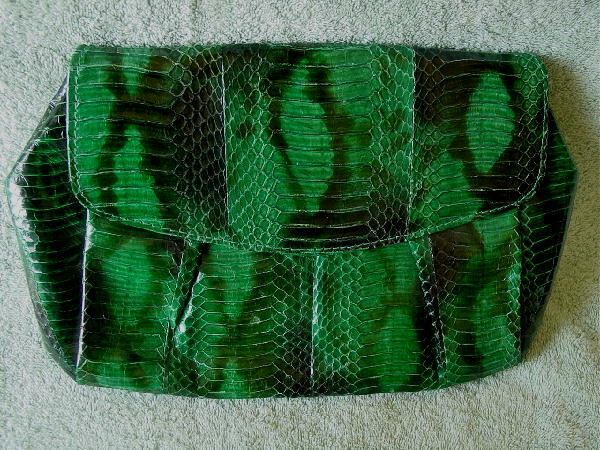 It has a thick black faux leather lining and an interior deep zippered pocket. Inside the flap are 2 gold-tone rings. You could attach a long chain as a shoulder strap (it doesn't come with a chain). The green color is not the bright light green that it appears in the pictures.